Summer time doesn’t bring jobs? It DOES! Catalyst Housing has received planning permission for phase 2 of its £200 million regeneration of the Wornington Green estate in the Royal Borough of Kensington and Chelsea. Work will begin onsite in Autumn 2015 and is expected to be completed in the summer of 2019. Over 300 private and affordable apartments will be built along with new shops on Portobello Road. An energy centre will be included in Phase 2 which will provide heating and hot water to the new development. The £66 million second phase follows extensive consultation with local residents which has led to a number of design improvements including a range of balconies to suit differently sized families and changes to the layout of the apartments. Planning permission for phase 2, along with the recent approval of a major regeneration of Havelock in Southall, continues Catalyst’s award-winning reputation as a developer of high-quality regeneration schemes catering to different housing needs across London and the South East. Rod Cahill, Catalyst Chief Executive said: “We are thrilled that the Royal Borough of Kensington and Chelsea have approved our plans for the second phase of the Wornington Green regeneration. “I’d like to thank all those that have taken part in the consultation process and given us feedback on the first phase. I’d also like to thank residents of Wornington Green and surrounding area for their patience as the building work continues. Businesses and industries will get help to cut their energy costs with £10 million available this year to improve efficiency, Energy and Climate Change Secretary Ed Davey announced today. He also unveiled new plans that will remove barriers to investment in energy infrastructure, boost economic growth and support up to 250,000 jobs by 2020. Mr Davey told the CBI’s Energy Conference that the energy sector had seen £45 billion of investment between January 2010 and December 2013, with nearly £8 billion investment in renewable technologies in 2013 alone, as he published the Government’s first report on energy investment in the UK. According to the Government, the investment won since 2010 will keep the lights on and build a low-carbon energy system that will create new jobs in the energy trades. Energy and Climate Change Secretary Ed Davey said: “Our plan is powering growth and jobs in the UK economy. We are building a secure, sustainable energy system for the future, dealing with an historic legacy of underinvestment and neglect that threatened to undermine the whole economy. “The funds we invest now in keeping the lights on could, in the future, be available to support cheaper projects that deliver lasting reductions in peak electricity demand. “I want to unlock the untapped potential of better efficiency in electricity use – so that more efficient kit can compete with building new power stations in the future. Our £20 million pilot will fund schemes that will help reduce our demand – not only saving businesses and their customers money, but reducing the amount of electricity we’ll need to generate. A new wind farm of the coast of Sussex that will support 750 jobs and bring over £2 billion of investment into the UK’s economy has been given the go-ahead. The Government has today given consent to Rampion offshore wind farm. The project is expected to boost the local economy, create new jobs and encourage investment in the area. Once built, the wind farm would generate enough electricity to power approximately 450,000 homes. The decision underlines how the government’s policies have made the UK the best place in the world to invest in offshore wind. 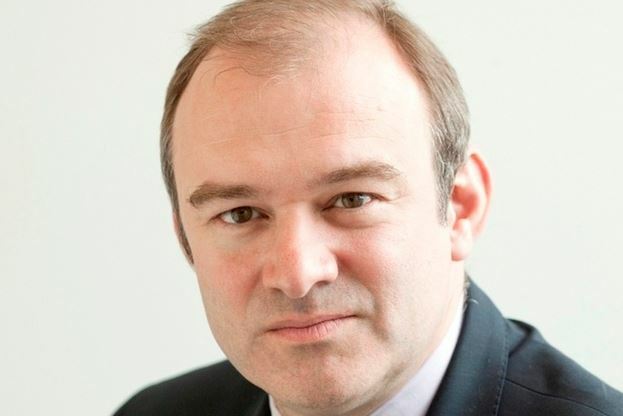 Energy and Climate Change Secretary Ed Davey said: “We’re driving investment in our energy security, and our plans have made us number one in the world for investment in offshore wind energy. Welsh Water has announced the partners it has appointed to deliver part of its £1.5 billion capital investment programme for 2015 to 2020. The level of capital investment across the period will also enable Welsh Water to continue to support more than 6,000 jobs across Wales. The successful partners will work closely with Welsh Water throughout the investment period, known in the industry as AMP6, to deliver cost effective and sustainable outcomes that will benefit customers and the environment for many years to come. The contracts will run for an initial five year period from 2015 – 2020 with an option to extend for a further five years. Chris Jones, Welsh Water’s Chief Executive, said: “As a company, we want to deliver the best possible outcomes for our customers and for the environment at the most affordable price. A key driver for Welsh Water in its selection of partners for AMP6 was to identify companies who could work collaboratively in the new Capital Delivery Alliance. The Alliance will bring together best in class organisations and individuals to deliver Welsh Water’s capital programme safely and efficiently, achieving sustainable outcomes for the benefit of its customers and the environment. The Alliance will drive value in the planning and pre-construction phase by co-locating Welsh Water, contractor and consultant resource into a single Integrated Solutions Team to help facilitate collaboration and innovation. A project to cut the cost of offshore wind by at least 10 per cent is being awarded £2.2 million by the Scottish Government, First Minister Alex Salmond has announced. 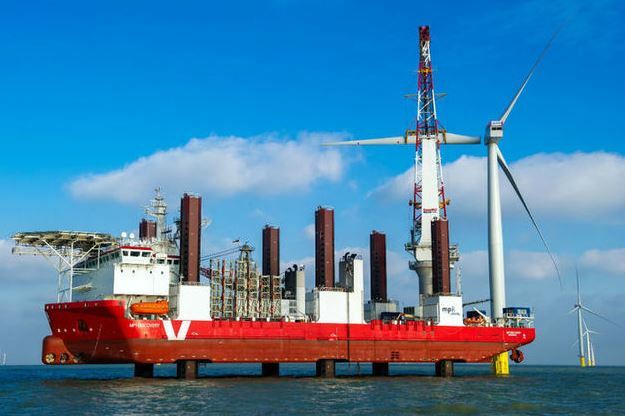 The Carbon Trust’s Offshore Wind Accelerator (OWA) programme will bring together nine offshore wind developers with over 72% (31GW) of the UK’s licensed capacity. 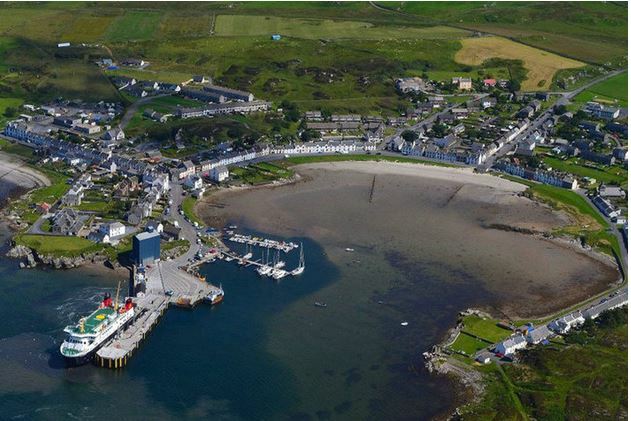 The project aims to deliver the 10% reduction in time for offshore wind developments in Scottish waters with partners working together to identify technological challenges and prioritising those with the most significant savings potential, before developing innovative solutions. Following a meeting with representatives of the Carbon Trust and OWA programme in Aberdeen, the First Minister said: “Scotland is admired around the world for our work in renewable energy and in 2013 we set a new record for renewables generation, emphasising our commitment. “That progress has accelerated into 2014 with new record levels of renewables generation in the first months of this year – up 56% over the year to the first quarter of 2014. Tom Delay, Chief Executive of the Carbon Trust said: “We are delighted to be working with the Scottish Government to drive further cost reductions in the offshore wind industry. The sector has huge potential to generate low carbon power and create economic value. 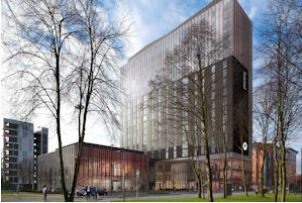 The University of Manchester has signed a deal to build a new hotel and an Executive Education Centre for Manchester Business School (MBS) on its Oxford Road campus. 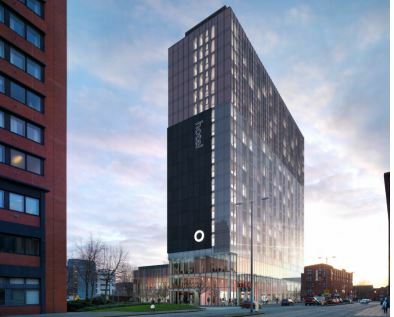 Bruntwood, one of the regional property firms, will develop the 326-room hotel in a 19-storey building under an investment deal with M&L Hospitality Group. The landmark development, designed by architects BDP and Leach Rhodes Walker, will provide high-end accommodation for visitors to the University, its business school and the wider city. 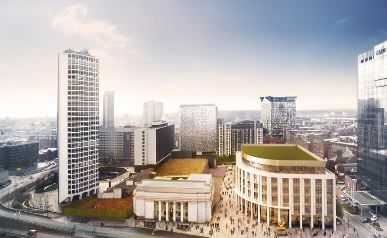 The hotel, which forms part of Bruntwood’s wider redevelopment of MBS, will adjoin a new two-storey Executive Education Centre, which will provide a new home for the business school’s corporate leadership and management programmes. Professor Fiona Devine, Head of MBS, said: “The hotel will provide an excellent base for all our visitors from across the globe to explore Manchester and the North West, with easy access to MBS and the University. The development is part of the University’s £1billion Campus Masterplan, which will create some of the most modern campus facilities in the world along the southern gateway to the city, known as the Manchester Corridor. Neil Maxwell, CEO of M&L Hospitality, added: “We are always exploring investment opportunities that have the potential to deliver stable and attractive returns. The Kier Group, which employs over 16,000 staff in the building industry, has confirmed its launch of a new housing division that will see the building of more homes. The new division will bring together three existing Kier housing businesses, from contracting, to affordable housing partnerships to private market housing solutions. The new division is set to respond to the significant market opportunities created by a nationwide shortage of housing stock while boosting economic growth and creating new jobs. The company plans to expand its geographical footprint to meet nationwide demand for new homes, to be better able to respond to the volume of public land emerging through the HCA Developer Partner Panel Framework and the HCA Affordable Homes Programme. The division will target growth in the north and the south-east, supplementing its other existing regional strongholds and providing a true nationwide footprint for the first time. John Anderson, Kier Living executive managing director, said: “The model of balancing activity across the public and private housing markets will protect the business against market fluctuation and enables Kier Living to really leverage the potential of its mixed tenure model. “The cross subsidy effect of this model enables our local authority and housing association clients to generate the necessary funding to deliver a wide range of housing solutions limiting the impact on the public purse. “We believe this is the ideal time to focus our house building offering in this way and to grow our presence across our core markets and regions. Morgan Sindall has been appointed by hydro-power specialists Green Highland Renewables to deliver part of a 1MW hydro scheme near Achnasheen, Wester Ross some 43 miles from Inverness. Morgan Sindall has already started work on delivering the £1.2 million contract on the Allt Gharagain hydro scheme which will create sustainable electricity in the area. The team is working on the run-of-river part of the project, a type of hydro-electric generation whereby little or no water storage is required to create sustainable energy with minimal environmental impact. The work includes the installation of two kilometres of supply pipeline (penstock) from the stream to the new powerhouse and a tailrace to allow the water used for power generation to return back to the river. As the works cross the Inverness-Kyle of Lochalsh railway line, the Network Rail level crossing needed upgrading. This part of the project has now been completed and construction of the access road has begun. Green Highland Renewables will operate the completed scheme and anticipates it will begin supplying electricity to the local grid in December this year. The scheme has been developed with funds managed by Albion Ventures LLP. Robert Ogg, area director at Morgan Sindall, said: “We’re very pleased to have been appointed to this scheme. Work is now underway on the project and the team is making good progress. Ian Cartwright, Managing Director at Green Highland Renewables, said: “This is one of four hydro schemes we are currently delivering in the immediate area and it is good to be working alongside Morgan Sindall on what is a technically challenging project. Thirty local renewable energy projects, stretching from Cornwall to Cumbria, are celebrating being offered financial investment from the government’s Rural Community Energy Fund (RCEF). The Government has this year assigned over £500,000 to help develop bespoke projects across England that will create new jobs and boost the renewable industry. The first 30 projects receiving funding represent a spectrum of technologies, including community scale anaerobic digestion, solar power, hydro and wind as well as renewable and low carbon heat networks. Energy and Climate Change Minister, Greg Barker said: “It’s great to see so many communities across the UK benefitting from local clean energy. “I want to see more communities becoming producers of energy – powering schools, market towns and community centres sustainably – and boosting their economy at the same time. All have sought government support to help raise funding to help realise their ambitions, enabling them to implement environmentally friendly sources of energy at a local level. Environment and Rural Affairs Minister Dan Rogerson said: “This fund will strengthen the rural economy, safeguard the environment, and will allow communities to unlock the potential of renewable energy. In Cumbria, RCEF is supporting a project which aims to provide heat directly to a local primary school from a community owned anaerobic digestion facility. This will also generate income from the sale of electricity to benefit other community projects, in a future community group partnership with four farms. Chancellor of the Exchequer, George Osborne, has today announced approval for a £353 million new acute hospital in Smethwick that will create new jobs and boost the local economy. The announcement comes as the Chancellor visited Rowley Regis Hospital – part of Sandwell and West Birmingham Hospitals NHS Trust – where he met with senior executives to hear how they are moving care closer to the community and ensuring the continued delivery of high-quality acute services. The new Midland Metropolitan Hospital will bring together acute services on to one site, promoting better patient safety and a patient experience while ensuring the best value for money for the taxpayer. The Chancellor said: “This ambitious package will ensure that patients across the West Midlands continue to benefit from access to world-class acute treatment and cutting edge facilities. 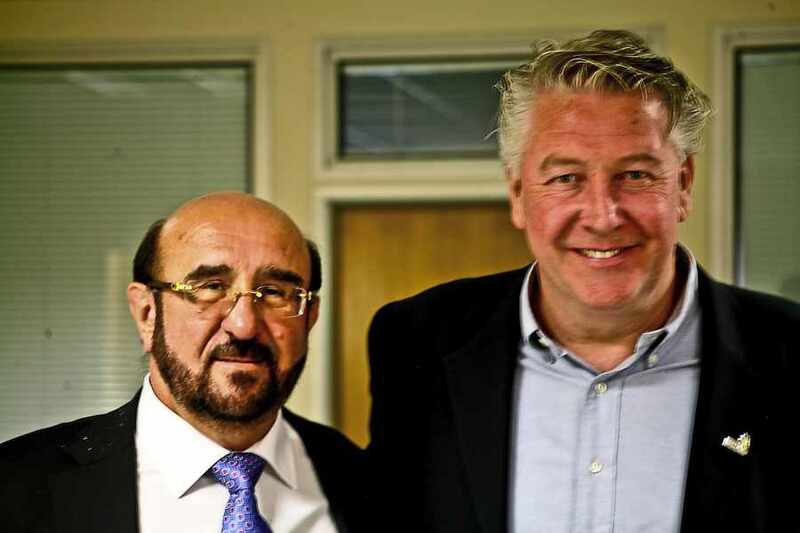 Chief Executive, Toby Lewis added: “This is a decisive moment for healthcare in the West Midlands. We welcome the determination of the Chancellor to support the regeneration of Smethwick with this vital project for patients. Much-needed new homes, jobs and training opportunities are being created in Telford as part of an ambitious £11 million project by Sanctuary Group. The housing and care provider is developing 86 extra care apartments for over 55s as well as 12 apartments specially designed for people with learning difficulties, in the suburb of Ketley. A 500-strong workforce has begun work on the Ketley Park Road site as part of a £60 million partnership with contractor Seddon to build more than 700 new homes in the Midlands. Local suppliers will be used wherever possible on the development and there will be grants available for local community projects. Councillor Hilda Rhodes, Telford and Wrekin Council’s cabinet member for Customer Services, marked the start of work on site during a special sod cutting ceremony. 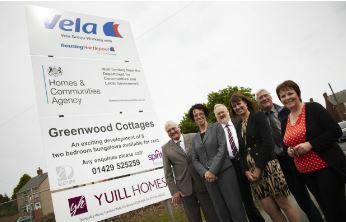 The project has been part funded by the Homes and Communities Agency (HCA) through the Affordable Homes Programme and is being carried out in partnership with Telford and Wrekin Council. An extra £1.3 billion has been spent on building affordable homes, new health facilities and schools in the past year, the Welsh government has said. Finance Minister Jane Hutt has outline today how the Welsh Government has helped deliver new hundreds of affordable homes since the its Infrastructure Investment Plan was published in May 2012. Jane Hutt said that despite cuts to the capital Budgets, the Welsh Government has focused on important priorities of creating new jobs and boosting economic growth. Ms Hutt said: “The additional investment we have made from capital reserves, totalling almost £462m, in the short term has the potential to create around 8,000 jobs during construction phases. In the longer term, this will boost growth and support the delivery of more efficient public services. “In addition we have continued to work across the Welsh Government to maximise our opportunities. For example, we have worked to develop an Infrastructure Priority in the 2014 – 2020 European Structural Fund Programmes. Communities Secretary Eric Pickles has announced to increase the Government’s infrastructure investment in enterprise zones by £100 million that will create thousands of local jobs in the trades. The investment package will help the thirteen enterprise zones to receive more money for 18 projects to build new service roads, car parking and other infrastructure, transforming ‘shovel ready sites into job ready sites’. The fund, originally £60 million, is designed to help zones reach their real growth potential faster as economic engine rooms of local economies. Following a competitive bidding process the successful proposals will now undergo further testing to ensure value for money for the taxpayer. In addition to this, 5 enterprise zones are also receiving £24 million to tackle traffic bottlenecks and road congestion near their site through Department for Transport funding. Eric Pickles said: “Enterprise zones are stimulating job creation and economic growth in different parts of the country with their special package of incentives to attractive new business ventures. 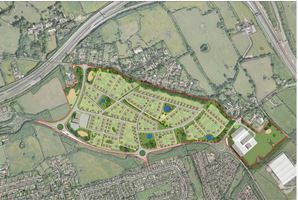 Andy Rose, Chief Executive at the Homes and Communities Agency, which is administering the fund, said: “The response from the enterprise zones to this investment opportunity demonstrates just how crucial upfront infrastructure is to development. Today’s announcement is just one of range of steps the government has taken to rebalance the economy and support local businesses to grow and create jobs. The government has reformed the way councils are funded so they have new incentives to go for growth and support local businesses. It has established 39 local enterprise partnerships that along with enterprise zones are able to access millions in government investment to support their local economy, including the £770 million Growing Places Fund and £2.4 billion Regional Growth Fund. The schemes backed by the London Enterprise Panel (LEP) are in areas where ambitious regeneration plans are in place and where transport infrastructure will help unlock significant economic growth. These schemes are set to deliver improved rail links between Tottenham Hale and the Upper Lee Valley; major road improvements in Bexley and support Ealing to harness the economic opportunities coming from Crossrail. Collectively the projects could safeguard existing or create an estimated 45,000 jobs, support the construction of tens of thousands of homes and attract significant private investment into deprived areas. The LEP’s adoption of these bids is a significant milestone for these projects and the proposals will now progress to a final stage, including more detailed work developing business cases, technical modelling and delivery mechanisms. The Mayor of London, Boris Johnson, said: “Transport links are a vital precursor to economic development. This money is earmarked for investment into transport schemes which have significant potential to stimulate growth and job creation. The bids approved by the London Enterprise Panel will provide extra services at Northumberland Park and Tottenham Hale, improving rail links between Stratford, the Upper Lee Valley and beyond including Stansted Airport. 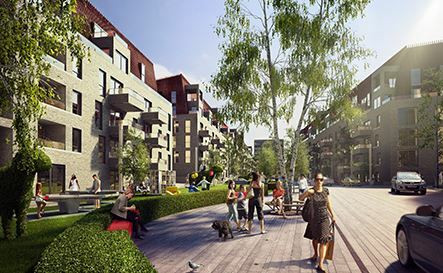 Collectively with Angel Road Station improvements, this will support the commencement of the Meridian Water development and regeneration at Northumberland Park where there are plans for an estimated 3,500 homes and 500 jobs. It will also support the development of an estimated 15,700 new homes, 21,900 new jobs in the Lee Valley and up to 15,000 jobs in adjoining areas. £2.5 million allocated to upgrade Angel Road station and support regeneration in Enfield (bid from Enfield Borough Council). Angel Road station is vital to the regeneration of Enfield and specifically to support the Meridian Water development and regeneration in the Lower Lea Valley more widely. Station improvements will increase passenger capacity through an enhanced commuter rail service and boost employment across wide range of trades in the building construction industry. The Government is going to build thousands of homes at stalled housing sites and create new construction jobs through a multi-million investment package set to kick-start the economy and boost the trades. Today, Housing Minister Mark Prisk confirmed that 14 major housing schemes across the UK will benefit from the investment that can start building up to 38,000 new homes. A share of the Local Infrastructure Fund, which has a total budget of £474 million, will create thousands of jobs for local communities and people in the trades across the country. The funding programme is targeted at large-scale sites of over 1,500 homes that could deliver real benefit to their communities. Housing Minister Mark Prisk said: “This government is determined to get Britain building again. That’s why we are working with local housing schemes that have their plans in place, but need help to move forward. Homes and Communities Agency Chief Executive, Andy Rose, said: “This investment from the Local Infrastructure Fund is about building momentum behind some of those larger locally-backed housing developments to accelerate the supply of new homes. Construction unions have signed a ground breaking industrial relations agreement to build a new nuclear power station at Hinkley Point that will employ 5,000 workers at the peak of construction. The project will be the largest single site construction project in Britain. The Civil Engineering Sector Agreement has established pay rates for the workforce which is significantly above those agreed by the Construction Industry Joint Council. It has been confirmed that a minimum craft rate of £13 an hour for civil engineering work and additional bonus payments to workers on site will establish the job as the best-paid site in the UK. After months of negotiating, unions UCATT, Unite and GMB have secured agreement with the client EDF Energy and the principal contractors Bouygues Laing O’Rourke for a Common Framework Agreement which addresses how industrial relations will be managed and a Civil Engineering Sector Agreement. The agreement also makes clear that the training of traditional apprenticeships and adult trainees will be a priority. A target of training at least 500 apprentices and adult trainees during the lifetime of the project has been set. In an important step to combat casualisation and poor productivity the site will only directly employ workers through PAYE. For the first time in such an agreement there will also be strict rules placed on the recruitment of workers through employment agencies. A top of the range occupational health scheme will be established to help ensure the short-term and long-term health of the construction workforce. The agreement also sets out provision for a bonus scheme, a productivity scheme and milestone payments, which has laid the foundations for the best paid construction project the industry has seen. Kevin Coyne, Unite National Officer for Energy and Utilities, said: “A new nuclear power station at Hinkley Point will be a significant milestone towards meeting Britain’s low carbon energy needs. “We’re pleased that progress towards a greener future is also characterised by good pay and conditions for thousands of highly skilled workers. The agreement reached between the unions and employers is the result of intense but constructive negotiations. Britain’s Olympics has delivered a £2.5 billion boost in foreign direct investment (FDI) over the past year, bringing with it more than 31,000 jobs, according to preliminary figures published today. The investment projects generated following the 2012 Olympics’ British Business Embassy programme of global business summits have helped ensure that the UK has again retained its position as the leading European destination for foreign direct investment. The preliminary data published today at the Global Investment Conference shows that during 2012-13, UK Trade & Investment (UKTI) recorded 1,462 projects which brought with them or safeguarded 163,489 jobs. Of these 58,170 are new jobs – beating both the quantity of investment attracted and employment secured in the previous year. 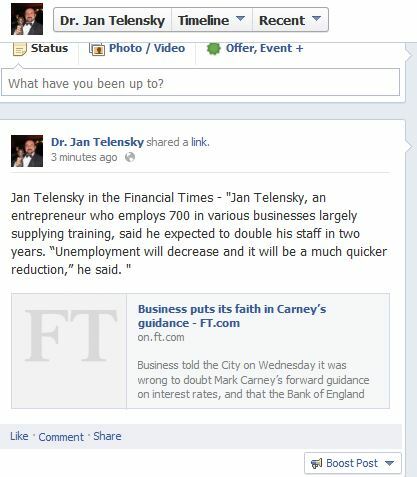 The Prime Minister, David Cameron joined other high profile delegates from 40 countries at the Global Investment Conference, including the German and Canadian finance Ministers, Managing Director of the International Monetary Fund Christine Lagarde, global chief executive officers, sovereign wealth funds representatives and corporate investors. Senior Ministers Chancellor George Osborne, Energy Secretary Ed Davey, Trade Minister Lord Green, Treasury Ministers Greg Clark and Lord Deighton and London Mayor Boris Johnson also spoke to delegates about the UK’s compelling offer as both a hub for global growth and an international investment destination. Trade and Investment Minister Lord Green said: “Foreign investment creates hundreds of thousands of jobs and helps to increase the productivity and competitiveness of the UK economy. It’s a vital strand of the Government’s plan for growth. “The 2012 Olympics were a once in a generation opportunity for the UK to showcase to the world Britain’s compelling investment offer and these preliminary figures are very encouraging. Despite strong competition from our traditional competitors and emerging economies, Britain has retained its position as the leading destination for foreign direct investment in Europe. The preliminary data published today compares favourably with last year’s 1406 recorded projects (4% increase) and 112,659 jobs (45% increase). Of the 163,489 jobs, 58,170 are new jobs and 105,319 safeguarded jobs. UKTI and its partners were involved in delivering nearly 84% of the projects. Full results will be published in July. An exciting £30 million scheme to create new homes and jobs in South Shields has moved forward thanks Keepmoat Homes and the Homes and Community Agency (HCA). Local ward members Councillors visited the site alongside Lead Member for Housing and Transport, Councillor Jim Foreman and Ian Prescott from Keepmoat Homes, to see the work get underway. Councillor Malcolm, who is also Lead Member for Resources and Innovation, said: “I’m delighted to see work starting on these new homes. It’s a major milestone in our ambitious plans to transform the Riverside area. The new homes will include 20 Council properties, which will be available to rent through South Tyneside Homes with the remainder for sale through Keepmoat. The development will also feature a landmark apartment building and a specially designed £500,000 linear park, which will provide a new play area as well as create better pedestrian links to the riverside. Councillor Clare, ward member and Lead Member for Regeneration and Economy, said: “These new homes form part of our wider plans to revitalise the Riverside area, which also includes Harton Quays Park, where work is already underway. 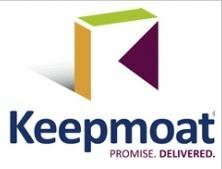 Ian Prescott, Land and Partnerships Director at Keepmoat, said: “Keepmoat share in the Council’s exciting ambitions for the regeneration of this part of South Shields. Our £30 million Trinity South scheme will have a significant impact on the local community. The development will also meet Level 3 of the Government’s Code for Sustainable Homes. Construction work on the new £50 million Inverness College UHI is set to start next month, Deputy First Minister Nicola Sturgeon confirmed today. The 13.3 acre University of the Highlands and Islands (UHI) development will create 300 jobs during construction, a minimum of 28 modern apprenticeships and provide facilities for over 8,500 students. Inverness is the first Further Education college to use the Non Profit Distributing (NPD) financing model with City of Glasgow and Kilmarnock colleges to follow later in the year. NPD ensures that private sector returns are capped, that there is no dividend bearing equity, and any surplus is directed in favour of the public sector. Other major projects in the £2.5 billion NPD pipeline include M8, M73 and M74 improvements, while construction work has already begun on community health buildings in Aberdeen, Forres and Tain. Ms Sturgeon said: “The new £50 million Inverness College UHI will be a landmark building, the centrepiece in a high quality, modern and sustainable campus being developed on the outskirts of the city. “This Government is determined to invest in Scotland’s infrastructure – our schools, roads and hospitals – both to stimulate growth in the short term and lay the foundations for long term success. “That is good news for the Highland economy and its construction industry and will attract businesses and highly trained professionals to the Highlands to help stimulate economic growth. Education Secretary Michael Russell said: “The Scottish Government has demonstrated its commitment to Scotland’s college sector by adding £61 million to the sector’s budget over the next two years compared to what was originally planned for the spending review period. “We are progressing college reforms that will substantially improve students’ chances of securing a job at the end of their course, as well as ensuring local businesses are able to employ the right people with the right skills. Barry White, Chief Executive of the Scottish Futures Trust (SFT), explained: “Reaching financial close of a project of this size and complexity in only 17 months is unprecedented. This project, funded through the SFT led NPD programme, is a massive boost to the local economy with the main contractor committed to deliver at least 25 apprenticeship positions. Transformation works at the former Olympic Stadium in Stratford have been given the go-ahead, paving the way for new jobs and boosting the trades. The Legacy Corporation’s planning decisions committee granted permission for the original structure to be transformed into a 60,000-seater venue with a capacity of 80,000 for concerts. The multi-purpose venue, which has Premier League club West Ham United confirmed as an anchor tenant, will host Rugby World Cup matches in 2015 and the 2017 World Athletics Championships. Members unanimously approved the application, which was made by the Legacy Corporation on behalf of E20 Stadium LLP – a special purpose vehicle comprising The Legacy Corporation and Newham Council. Subject to a referral to the Mayor of London, work will begin later this year on the proposed alterations, which include introducing retractable seating in the lower tier and a new extended roof design to cover the new seating, as well as the re-use of the iconic lighting towers. Dennis Hone, Legacy Corporation chief executive, said: “This is an important milestone that paves the way for the Stadium’s intended legacy use as an all-year-round venue. The first stage in the exciting multi-million pound International Sports Village development at Cardiff Pointe has been launched by Cardiff Council leader, Heather Joyce. The launch marked the official start of the latest major project in Cardiff Bay, which includes a new Olympic standard, twin-pad ice arena and Cardiff Pointe, a sustainable residential quarter consisting of around 800 new homes. Future stages will also include a 150 million indoor ski-slope, one of the world’s largest indoor snow play centres, a stunning mixed-use tower that will be the tallest in Wales, gallery space, a hotel, retail outlets, housing and office accommodation. Cardiff Council leader, Heather Joyce, said: “This development will not only look fantastic but will also create thousands of jobs, attract tens of thousands more visitors to the city and provide homes – including affordable homes – for people in Cardiff. Jonathan Smith Director at Helium Miracle 113 said: “We are immensely proud of the Sports Village’s design and content, which follows the high standard set by the Cardiff Pointe residential quarter. We believe the new facilities will strengthen Cardiff’s reputation as a forward-thinking, cosmopolitan centre of sports, culture and housing. Repairs and maintenance provider, Kier is further extending its work in Harlow with an additional £4.5 million contract to improve Harlow Council’s housing stock. Kier began working with Harlow Council in 2007 when a joint venture partnership, Kier Harlow, was formed to provide a number of services to the town from housing repairs for the council’s 10,000-plus properties to street scene and grounds maintenance. Due to start in June this year, the additional contract sees Kier appointed as principal contractor to work alongside Kier Harlow in improving kitchens and bathrooms throughout the council’s housing stock. Continuing for up to four years, the works will upgrade all of Harlow Council-owned properties to ensure they meet and surpass the Government’s Decent Homes standard requirements. Kier Services planned works manager Christopher Bunker is responsible for delivering the programme. He said: “The partnership will operate from our existing Kier Harlow base and will benefit considerably from the wealth of existing knowledge within the JVCo team. 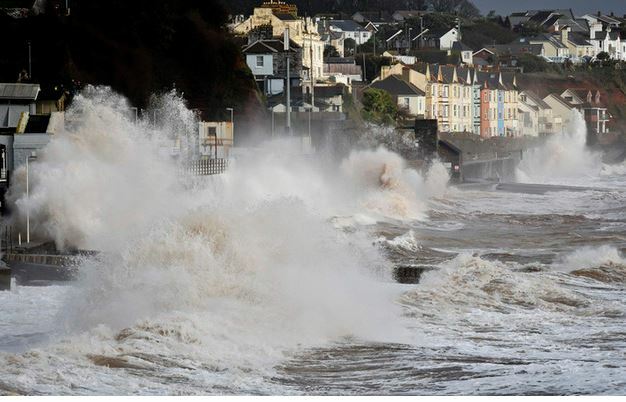 £32m investment to unlock 5,000 jobs Proposals to create thousands of new homes and jobs in Devon have been backed by the Government to invest £32 million in the project to get the first phase of work underway. The investment from the Homes and Communities Agency (HCA) is intended to unlock the development of the long-awaited new community of Sherford, which is anticipated to bring 5,500 new homes and create 5,000 jobs. The development is expected to generate around £1billion in development expenditure to the area and provide an economic boost worth around £2billion. Subject to the agreement of legal terms, the investment would be used by a development consortium led by Red Tree to start work on the development and begin a series of important road and utilities improvements to accommodate the early phases of house building. The funding, unveiled by housing minister Mark Prisk, is set to kick-start construction of houses and community facilities at the new town of Sherford. The scheme will also include 893,000 sq ft of employment space as well as schools, a town hall, swimming hall and community park. Colin Molton, HCA executive director for the South and South West, said: “The new community of Sherford is an incredibly important project, because it will go a long way towards meeting the significant need for new homes in Devon and Plymouth and provide a major boost for the economy. More than £29 billion worth of investment has been announced in the renewable energy sector since 2010 with the potential to support around 30,000 jobs and boost the trades. At the All Energy Conference today in Aberdeen, Energy and Climate Change Secretary Edward Davey revealed new regional renewables job and investment figures for the green economy. Speaking at the conference, Mr Davey called on Scotland to remain in the UK to protect current high levels of renewable investment in the trades and safeguard additional employment opportunities for people in the trades. Mr Davey said: “The UK offers a uniquely attractive, stable, transparent and supportive environment for investment in low carbon generation. “Between now and 2020, the support we give to low carbon electricity will increase year-on-year to £7.6 billion – a tripling of the support for renewable energy. “New research by my Department estimates that, since 2010, across the UK, over £29 billion of private sector investment in renewables has been announced supporting almost 30,000 jobs. “Many of these jobs are highly-skilled and well-paid positions and employees can be proud to be a part of securing the UK’s energy supply. New research shows that since 2010 more than £29 billion worth of investment has been announced in renewable energy with the potential to support around 30,000 jobs. 239 jobs and £304 million investment in Northern Ireland. Morgan Sindall has begun work on a £3.3 million extension project at The Perse Upper School in Cambridge that will boost the building industry. The new build development comprises the construction of a three-storey block with a number of associated external works that are due to complete in the summer of 2014. The new building will significantly expand the school and provide new teaching and classroom facilities for staff and pupils. Morgan Sindall will construct the building using a traditional concrete frame and a combination of pre-aged zinc cladding, glass curtain walling and render. The building will be joined to an existing part of the school by an interconnecting covered foot-bridge built to the first floor. As the project team is working on a busy school site, hoardings have been put into place to ensure that the building works are segregated and that there is minimal disruption to the children’s learning environment. Bob Ensch, Morgan Sindall area director, said: “The new building will bring a wealth of benefits to both pupils and staff at The Perse Upper School and will provide an excellent learning environment for years to come. Work on site has begun and will complete following a 60-week programme of development. The development at The Perse Upper School is the third major project Morgan Sindall has secured in the local area in recent years. The company completed the £9 million redevelopment of office space at Botanic House on Hills Road last year and is currently on site delivering a £1.7 million commercial development at 90 Hills Road. Householders across Great Britain will be able to get even more cash for renewable heating kit, the Department of Energy and Climate Change (DECC) has announced today. The money off vouchers available under the Renewable Heat Premium Payment (RHPP) scheme have been increased to £2,300 for ground source heat pumps, £2,000 for biomass boilers, £1,300 for air source heat pumps and £600 for solar thermal systems. The RHPP scheme, first launched in July 2011, is designed to encourage householders to switch to renewable heat from traditional heating systems by offering money off the cost of the equipment. The scheme is targeted at those living off the gas grid, where most money on bills and carbon can be saved. Energy and Climate Change Minister Greg Barker said: “Over 10,000 householders have already taken advantage of money off renewable heating kit and we want to see even more consumers stepping up to the plate and getting on board. “But I want to go even further. I want to kick start this exciting new market for consumer renewable heat technologies. The scheme was extended in March this year until the end of March 2014 ahead of the launch of a Renewable Heat Incentive for householders, with around £12 million up for grabs. Alongside changes to the voucher values, householders will now be required to undertake a Green Deal assessment before submitting a claim to the Energy Saving Trust to redeem their voucher. This will help householders think about how renewable heat could fit with energy efficiency improvements for their home and ensure they are advised on choosing the right technology for them. The additional voucher values are intended to reflect the cost of a Green Deal assessment, as well as the cost of getting these technologies installed in homes. 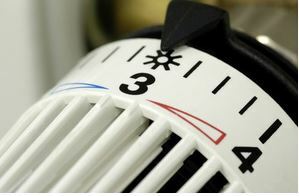 Householders can also use the Green Deal to pay for some of the cost through savings on their energy bill. The increased voucher values and Green Deal assessment requirement will kick in for any applications submitted today onwards. Willmott Dixon has announced to use its re-appointment as sole contractor on Scape’s major works framework to create jobs and boost opportunities for local companies over the next four years. Willmott Dixon estimates that under the previous Scape framework, where it was the incumbent contractor, local authorities saved a minimum of 14p in every £1 they spent on projects procured through Scape. The construction company is planning to increase that saving to 20p in every £1, while ensuring 60 per cent of project budgets are spent on companies within a 20 mile radius of each Scape site, and raising employment and skills targets by 1,400 per cent. 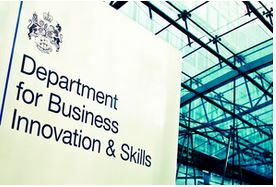 Scape’s frameworks are worth £3 billion and over the last decade Scape has delivered over 1,200 projects on time and in budget for 250 public sector clients. Scape specialises in providing a range of national and regional procurement frameworks enabling the UK public sector to procure construction services quicker and more efficiently, without having to go through lengthy and costly OJEU processes each time. Scape’s new major works framework, which Willmott Dixon won after a seven-month re-procurement process, is expected to generate £1.25bn of construction work over the next four years. It comes as public sector budget cuts and reduced spending on capital projects put the spotlight on contractors generating even more value and efficiency in their construction output. The benefits to clients of using Scape, including the reduced procurement time it brings, was underlined by Willmott Dixon delivering all 157 projects under the previous framework on time and in budget. A tunnel on the proposed route of Britain’s High Speed 2 rail network could be extended to enable plans for a major development next to East Midlands Airport to progress. The initial preferred route would have seen the new rail line cross the site of the proposed SRFI, which has the potential to create 7,000 jobs in the region, and threaten the feasibility of the proposed development. During discussions with MPs and local authorities on the proposed route for phase two of HS2 from Birmingham to Leeds, concerns were raised by Leicestershire County Council, and MP for North West Leicestershire, Andrew Bridgen, in conjunction with Roxhill Developments Limited, that the proposed line could affect plans for a strategic rail freight interchange depot (SRFI) next to the airport. After listening to these concerns, the government has now developed a revised option involving extending the proposed tunnel under the East Midlands Airport, avoiding the majority of the proposed SRFI site. The Department for Transport will consult on the route later in the year as part of its public consultation on phase two, and after that consultation, a decision will be made. In the meantime, the developer will progress its plans for the proposed depot. Kate Bedson, Senior Development Director at Roxhill said: “Our proposals for a new SRFI with 6 million square feet of associated warehousing have the potential to create 7,000 jobs, providing a boost to the economy in the region.